Simple game built using the Microsoft XNA Game Studio. 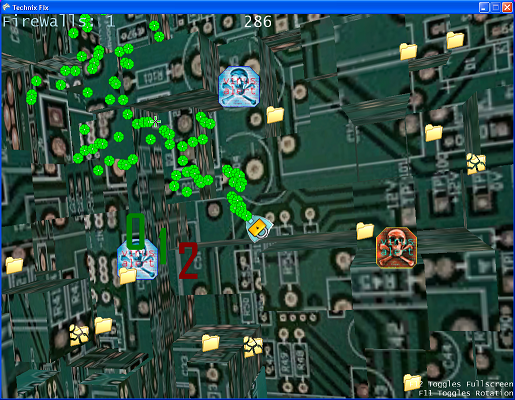 You PLAY AS a computer anti-virus program whos mission is to protect your host computer from virus', hackers, and fragmented files. This program does not install or remove and software nor does it defragment or delete files from your computer. 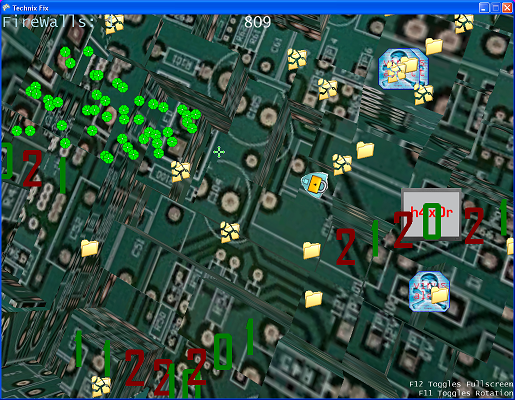 The 3D background can make you sick to your stomach, you can toggle the rotation with F11.